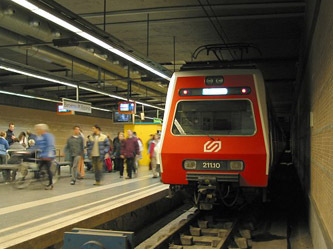 Original surface terminus from 1912 was located further west near the present Magòria station. Future interchange with L9 (Zona Franca branch). Future interchange with L9 (Airport branch). Track gauge of 1000 mm; step-free access into trains only at centre door. Sharing tracks with suburban services between Pl. 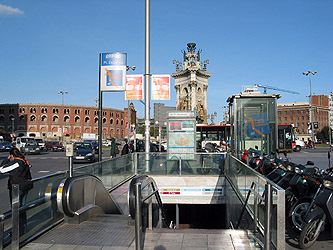 Espanya and Molí Nou-Ciutat Cooperativa, which serve all stations along L8, too. 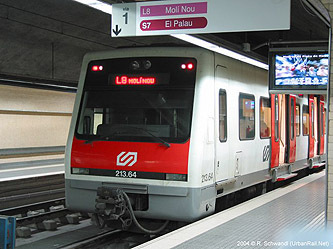 The original line was put underground in 1985/1987 up to Cornellà-Riera.